The portable Redneck Guru Hog trap, it is easy to assemble and can be broken down into 5 flat pieces for easy transport and above all, built to last. The four sides and top are all bolted together to be easily assembled. 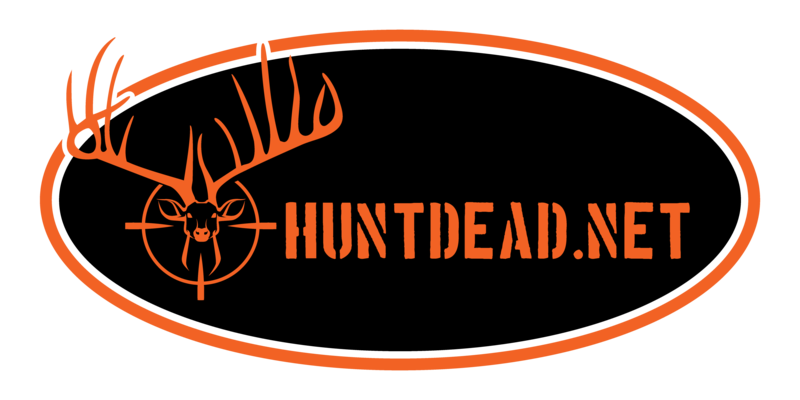 The swing gate eliminates deer from entering the trap and eating all the corn. The swing gate allows hogs to enter but they do not check out. It is constructed with two inch angle iron and 4 inch welded hog panels. The panels are welded to the angle iron, eliminating any hog from escaping. The trap is 4 feet wide, 6 feet long and 4 feet high. There are four, five eight holes on the two long sides to stake the trap down, eliminating the need for a bottom in the trap. The total weight of the trap is approximately 200 lbs. The trap is designed to hold small pigs to LARGE boars. 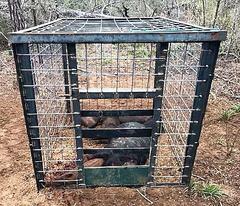 The trap can be transported easily and therefore efferent in eliminating wild hogs. You will be able to move the trap to where the wild hogs are and not have to wait for them to find bait in another area of your property.